Background: A.C. Sallee is an associate attorney at Walton + Brown, LLP., where his practice focuses on serious personal injury, wrongful death, employment discrimination and civil rights cases. A.C. has significant experience assisting individuals in filing charges and presenting claims to the Equal Employment Opportunity Commission and the Ohio Civil Rights Commission. His knowledge of the procedural process is a valuable asset to the clients that he diligently represents. Motivated by a strong desire to assist individuals who have suffered wrongfully at the hands of another, A.C. has an innate ability to build a rapport with his clients and help ease their concerns in uncertain times. A.C. has made it his duty to represent each client with an approach that centers around aggressive and thoughtful advocacy that is essential to their unique issues. 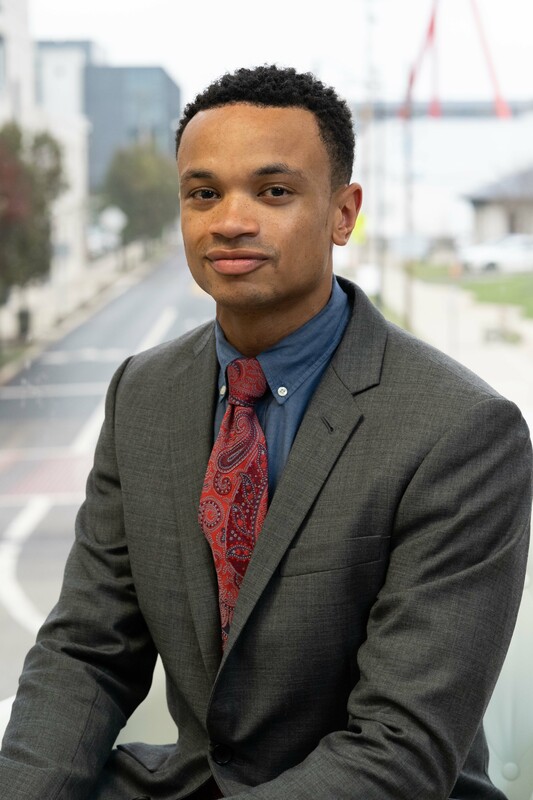 Prior to becoming an attorney, A.C. gained valuable experience working in the Franklin County Court of Common Pleas, the Ohio Senate, and with several law firms. He combines this experience with an innovative approach to legal advocacy that aides his clients in fighting for a successful resolution of their claims. Education: A.C. received his bachelor’s degree in Education and Human Ecology from The Ohio State University and his Juris Doctor (J.D.) from Capital University Law School. While in law school, A.C. served as the Treasurer of the Student Bar Association and the Vice President of the Black Law Student Association, while also serving on the Corporate Moot Court Team and the Hispanic National Bar Association Moot Court Team. A.C. participated in the Marshall-Brennan Constitutional Literacy Project, through which he spent time teaching students at Columbus Downtown High School their civil rights as provided by the U.S. Constitution. In the Community: A.C. is a member of the Ohio State Bar Association and Columbus Bar Association. He is also a member of Alpha Phi Alpha Fraternity, Alpha Rho Lambda Chapter. In his spare time, A.C. officiates basketball at many levels, including high school, college and semi-professional.